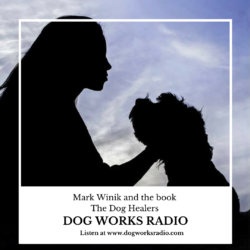 Join host Robert Forto as he welcomes author, Mark Winik to speak about his new book, The Dog Healers on Dog Works Radio. Mark is an avid dog lover and lives with is two dogs, Paco and Chickie, along with his wife, Norma in South Beach Connecticut. The Winiks founded the first community dog park on the shoreline of Connecticut in Branford. On a visit to Buenos Aires, his wife’s home city, Mark discovers Carlos DeMarco, known as the Dog Healer. His story impaired Mark to write the book, The Dog Healers.